Okay, the papers today have been full of the plan May announced yesterday that would improve the NHS over the next ten years. Apparently they’re going to increase funding by 20 billion pounds above inflation by 2023, recruiting tens of thousands of new nurses and doctors. Mike today posted a piece ripping apart these promises. He makes the point that the Tories haven’t fulfilled their existing targets to recruit more medical staff. They have also not stated where they intend to fund the money to pump into the NHS. More sinisterly, one key part of the programme discussed by Health and Social Care Secretary Matt Hancock in an interview with Sophy Ridge sounded like the government is planning to blame poor health on the patients themselves. Hancock said in the interview that the government intended to shift towards helping people to stay health, to stop them getting ill as much as curing them. Mike makes the point that this sound very much like the claims that the DWP helps people by refusing them benefit. He’s right. I think there has already been discussion of schemes whereby obese people should be refused medical treatment for diseases or conditions brought on by the condition. As for privatisation – with more than £8 billion spent on private companies that have been allowed to buy into the NHS by the Conservatives since 2012, concern is high that the whole service in England is being primed for sale, to be replaced with a private insurance-based system, as poor as the schemes currently failing the citizens of the United States. These fears are supported by the fact that current NHS boss Simon Stevens used to work for a US-based health profiteer. This new 10-year plan, it seems, is setting out to do exactly what Noam Chomsky described when discussing the steps leading to privatisation: Strip the service of funds, make sure it doesn’t work properly, wait for people to complain, and then sell it to private profit-making firms with a claim that this will improve the service. He makes the case that the NHS will be treated exactly as the other privatized utilities – energy companies, railways, water industry and airports – stripped of funds, sold off, and owned by foreign firms to provide them with profits. This also is true. Private Eye has reported how the Tories and New Labour were lobbied by private healthcare providers determined to gain access to the NHS, including the American private healthcare insurance fraudster, Unum. So you can look forward to a future in which you are blamed for any health problem that arises, and forced to pay through the nose for health insurance (that probably won’t cover your needs or won’t pay out at all, to judge by the American system). It seems the Tories’ 10-year plan for the NHS is to trick you into an early grave. The Tories have been determined to privatise the NHS since the days of Margaret Thatcher. She wanted to privatise it completely, but was stopped by a cabinet revolt. She nevertheless wanted to encourage Brits to take out private health insurance and began cutting and privatizing NHS services. This was continued under John Major by Peter Lilley, who invented the Private Finance Initiative in order to help private corporations gain access to the NHS. It carried on and was expanded even further by Blair and New Labour, and has been taken over and further increased by the Tories since the election of Cameron back in 2010. If it continues, the NHS will be privatized, and the quality of Britain’s healthcare will be what is in the US: appalling. The leading cause of bankruptcy in America is inability to pay medical costs. Something like 20 per cent of the US population is unable to afford private medical insurance. 45,000 people a year die because they cannot afford healthcare treatment. A year or so ago a Conservative commenter to this blog tried to argue that the Labour party had not established the Health Service and that the Tories were also in favour of it. Now it is true that the welfare state, including the NHS, was based on the Beveridge Report of 1944. Beveridge was a Liberal, and his report was based on the information and views he had been given in turn by civil servants and other professionals. But the Health Service itself was set up by Aneirin Bevan in Clement Attlee 1945 Labour government. The Health Service’s ultimate origins lay in the 1906 Minority Report into reform of the existing healthcare services by Sidney and Beatrice Webb. The Socialist Medical Society had been demanding a nationalized system of healthcare in the 1930s, as had the Fabian Society, and this had become Labour policy in that decade. And later in the 1950s, after the NHS had been established, the Tory right again demanded its privatization on the grounds that it was supposedly too expensive. Even now this is the attitude of right-wing historians and politicians, like Corelli Barnet, who has said that the reason why Britain was unable to modernize its industry after the War like the Germans or French was because the money went instead to the NHS. The same commenter also claimed that Britain never had a private healthcare system. This is untrue. Many hospitals were run by local councils, but there were also private charity and voluntary hospitals. And these did charge for their services. The health services between the wars were still in a rudimentary state. Insurance against sickness was compulsory for all workers earning less than 160 per annum under the National Insurance Act of 1911 but the scheme did not cover the dependants of the insured, and sickness benefits when away from work were still lower than unemployment rates. Further, the range of benefits was limited, and hospital treatment was not free unless provided in poor law infirmaries. Treatment in municipal hospitals or voluntarily run hospitals still had to be paid for. The health service was run not by the Ministry of Health, but by approved societies, in practice mostly insurance societies. As a system, it suffered from administrative weaknesses and duplication of effort, and the Royal Commission on National Health Insurance 1926 recommended that the system be reformed; the Minority Report even recommended that the administration of the system be removed from the societies altogether. In 1929 the Local Government Act allowed local authorities to take over the poor law infirmaries, and to run them as municipal hospitals. Not many did so, and by 1939 about half of all public hospital services were still provided by the poor law infirmaries. By that year, it would be fair to say that there was something resembling a national health service for the working classes, but it was still very limited in scope (it might or might not include dental treatment, depending on the society concerned), and although treatment by general practitioners was free for those by the scheme, as we have seen, hospital treatment might have to be paid for. (pp. 25-6). This what the Tories and the Blairites in New Labour wish to push us back to, although looking at that description in seems that even this amount of government provision of healthcare is too much for those wishing to privatise it completely. The Tories’ claim to support and ‘treasure’ the NHS are lies. May is a liar, and has already lied about putting money into the NHS. I remember how She claimed that they were going to increase funding, while at the same time stating that the NHS would still be subject to cuts. And I don’t doubt that she intends to take this plan anymore seriously. It doesn’t mean anything. Look how she declared that austerity had ended, only to carry on pursuing austerity. Defend the NHS. Get Tweezer and the Tories out, and Corbyn and Labour in. To most of its opponents at this time the Labour party seemed to be wasting its time on producing a whole series of policy reports which stirred little public interest and which seemed unlikely to have any practical administrative significance. In fact, however, these policy reports which, beginning with ‘Currency, Banking and Finance’, went on to ‘The Land and the National Planning of Agriculture’, ‘The Reorganisation of the Electricity Supply Industry” and ‘National Planning of Transport’ (all completed within two years of the 1931 defeat) and, continuing therefore, year after year, on almost every aspect of national policy including coal, iron and steel, a National Health Service, Education, Pensions, Unemployment, Industrial Insurance, Housing and Colonial Development, provided the party with the practical programme on which it eventually secured a parliamentary majority and laid for the foundations for the packed legislative programme of 1945 to 1950. (Williams, Ernest Bevin (London: Hutchinson 1952), pp. 182-3). Now the NHS and the welfare state is being threatened by the Tories, the Lib Dems, and the Blairites. The present Labour leader, Jeremy Corbyn, has pledged to restore the welfare state, renationalize the NHS, as well as part of the electricity grid, water and the railways. This is all very much needed, and it’s very far from being some kind of Communist programme, as the hysterical press and BBC would like us all to believe. It’s simply a partial return to the programme of the 1945 Labour government, which gave the country over three decades of prosperity and economic growth before the election of Thatcher. Thatcher’s policies of privatization, the decimation of the welfare state and the privatization of the NHS has resulted in mass poverty. It has increasingly been shown to be threadbare. If Britain’s working people are to be given proper jobs, proper rights at work, continuing free healthcare and a genuinely fair provision for their old age, sickness and disability, we have to go back to the old Labour programme of the ’30s and ’40s, and get May and her profiteers and murderers out, and Corbyn in. It seems that the Tory party is once again trying to lay some kind of claim to the NHS, even as they destroy it. At the Tory party conference last week I seem to recall one of the speakers claiming that the Tories could be relied on to keep it in budget and governed according to sound financial management. Which must be why so many NHS Trusts are saying they’re seriously underfunded and in debt. We’ve heard this nonsense before. A few years ago, former Health Secretary and maliciously incompetent clown, Jeremy Hunt, claimed that the NHS was a Tory invention. It wasn’t. The modern welfare state was created by the Atlee government under the direction of the great Nye Bevan. One right-wing commenter came on this blog to try to argue that the NHS wasn’t the creation of the Labour party, as it was based on the Beveridge Report. Beveridge was a Liberal, who based his report on consultation with a number of sources inside the civil service. But the ultimate origin of the NHS actuall predates the Report. 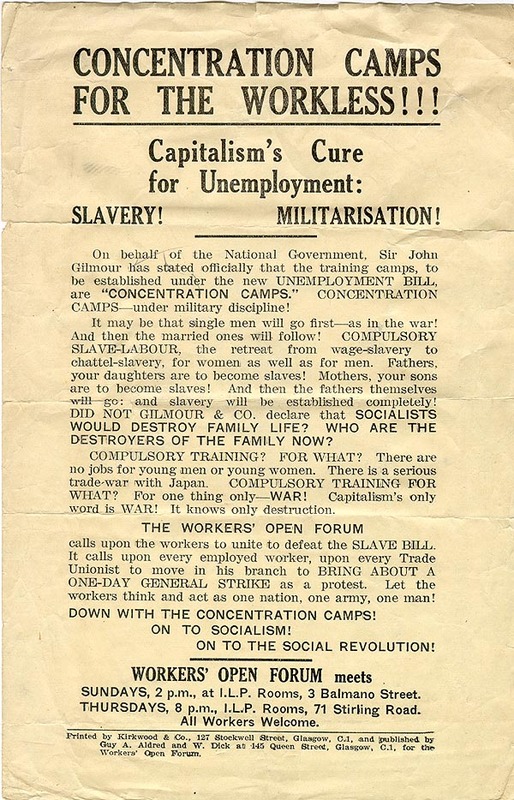 In the 1930s the Socialist Medical Society had also issued demands for the creation of a National Health Service, and the Labour Party had included it in their manifestos. And the ultimate origin of the NHS goes back to the Webbs and their Minority Report on the Poor Law of 1909. I found a couple of quotes making the socialist origins of the NHS and welfare state very clear in the booklet 100 Years of Fabian Socialism 1884-1984, edited by Deirdre Terrins and Phillip Whitehead (London: Fabian Society 1984). At home the essays Social Security, edited by William Robson, paved the way for the Beveridge Report. This book, and five others, with a further nineteen research pamphlets, comprised the Fabian war effort. It was condensed in the 1945 Manifesto Let Us Face the Future, written by the Fabian Michael Young, and successful as no manifesto has ever been before or since. (p.17). As for the Tories, they’ve been repeating the lie that only they, not Labour, offer the sound financial management required to keep the NHS afloat since the 1980s, if not before. I can remember the Torygraph declaring c. 1987 that while Labour had founded the NHS, only the Tories’ good financial management could be relied upon to maintain it. To support this assertion, they stated that when the Italians had set up their version of the NHS in the 1970s it had gone bust within a week. I really don’t know anything about the Italians’ attempts to set up a system of state medicine, and so can’t comment on that part of the Torygraph’s claim. But the rest of it – that it’s the Tories prudent financial management that has kept the NHS solvent, is nonsense. Dangerous, pernicious nonsense. And the Torygraph was aware of it at the time, which is why it said it. Thanks to Maggie Thatcher’s management, the NHS was in crisis, with lengthening waiting lists, the postponement of operations and the closure of hospital wards. Maggie, despite her loud denials and denunciations of the Labour party for claiming otherwise, had planned to privatise the NHS. She was stopped because of a full scale Cabinet revolt and the fact that her private secretary, Patrick Jenkin, had been to America and seen for himself just how dreadful the American healthcare system was, funded by private health insurance. Thatcher thus rowed back, and resorted instead to trying to get a certain percentage of the British population to take out private health insurance instead. The party then went ahead with a programme of piecemeal NHS privatisation through the Private Finance Initiative, which was picked up and expanded by Blair and New Labour when they came to power in 1997. And after Labour lost the 2010 election, the programme has been resumed and expanded in turn by the Tories under Cameron and Tweezer, and their Health Secretaries Andrew Lansley, Jeremy Hunt and their successors. However, under New Labour the NHS was kept in the black, so any claims that Labour was responsible for overspending or bankruptcy there is a lie. And even in the 1970s the compilers of a report into the NHS stated that further NHS expenditure would easily be met through natural increases in government funding. Ultimately, the Welfare State and the NHS have been largely the creation of Socialists and the Labour party. The Conservative commitment to state medical care has, by contrast, always been tenuous. In the 1950s the Tory Right revolted and wanted to privatise the new NHS, claiming that it was financially unsupportable. Just as the Tories now claim that it would not be properly financially supported by the Labour party. Even though the Tories themselves have partially privatised it and driven it into debt. The only solution is for the NHS to be returned to its Socialist origins and be renationalised. Which is what Corbyn promises, and one of the reasons the Tories, New Labour and the media are so scared of him. And why we need Corbyn, and a proper, traditional, Socialist Labour party in government. I just read this little bit by Mike over at his Vox Political blog. It seems that Ben Bradley, who was appointed by Tweezer as the vice-chair of Young People, put up a blog post in 2012 declaring that unless something was done, Britain would drown in a sea of ‘unemployed wasters’ due to unemployed people on benefits having too many children. He then argued that they should be forced to have vasectomies. The story was, apparently, uncovered by Buzzfeed, and when they came to Bradley for comment, he simply deleted the article. Bradley’s a nasty piece of work anyway. He was four-square behind the benefit cap, and voted against scrapping tuition fees, against university maintenance grants, against nurses’ bursaries, against Education Maintenance Allowance, ending the public sector pay cap and increases to the minimum wage. In other words, he’s a typical Tory, who thinks only of enriching himself and his class, and exploiting working people, who no doubt after Ayn Rand he also regards as ‘moochers’ and ‘looters’. His comments about sterilising the young unemployed are pure eugenics. In the early part of the 20th century, the chattering classes all over Europe and America were worried by the possibility that the ‘dysgenic’ poor would outbreed all the responsible, biologically superior middle and upper classes, and so demanded legislation to stop them breeding. This programme was then taken up by the Nazis, who sterilised the congenitally disabled and recidivist criminals, before launching the infamous Aktion T4, which saw the mentally retarded murdered by Nazi doctors in clinics, in an operation run by the SS. One of those, who was impressed by the eugenics argument was Lord Beveridge, before he issued his report that laid the foundations for the NHS. Beveridge argued that the long-term unemployed should be granted state support, but in return they would have to be sterilised to prevent them producing more children like them, who would be a drain on the state’s resources. It’s recently been revealed that amongst his other activities, Toby Young attended a eugenics conference at University College London, as well as writing an article supporting it. And way back in the 1970s, Thatcher’s mentor Sir Keith Joseph expressed similar sentiments when he claimed that unmarried mothers were a threat to ‘our stock’. The Tory party, it seems, is full of borderline Nazis, who hate the poor and the disabled, and wish them nothing but harm. Because they consider them a positive threat, not just to their position in society, but also to their biological superiority and purity. Here’s Chunky Mark’s perspective on Bradley’s comments, in which he states that Bradley’s comments about it aren’t really an apology. He merely says that ‘the language was wrong’. Chunky Mark states that we are just experiments to the Tories, with people dying in corridors, and hormones injected into our food animals, which contaminate the meat. The Tories really believe in eugenics, and we’re their dinner. The Tories really can’t stop lying, can they? Now that the British public’s becoming very disenchanted with neoliberalism, and the Thatcherite ideological legacy is up against the wall, waiting for Corbyn to shout ‘Fire!’, they’re doing their best to steal the credit for Labour policies. On Tuesday Mike reported that, while Nye Bevan did indeed set up the NHS in 1948, it was ultimately created by the Tory MP, Henry Willink, who authored a government White Paper about it in 1944. “Shadow Health Secretary Jonathan Ashworth said: “Jeremy Hunt’s claim the Tories created the NHS is laughable. The Tories fought it tooth and nail all the way through Parliament on a three-line whip. In fact they voted against the creation of the NHS 22 times including at the third reading. Quite. In fact, the NHS and the welfare state is based on the Beveridge Report, written in 1944. Beveridge was a Liberal. However, the Socialist Medical Association had been campaigning for a state-owned health service since in the 1930s. And the ultimate origins of the NHS can be found in the minority report published by Sidney and Beatrice Webb way back at the beginning of the 20th century in their comments about the state of medical care in Britain. A little while ago I had someone turning up on this blog to try to argue that the Tories had also been involved in the creation of the NHS, and weren’t its enemies. As I’ve said, Willink was involved. But Labour was the strongest champion of the Health Service, while the Conservatives lost support in the 1940s by postponing its implementation, citing concerns about cost. Then, five years after the NHS was set up, the Tory right revolted and demanded its privatization, on the grounds we couldn’t afford it. And coming from Jez himself, this is just more hypocrisy. Thatcher wanted to privatize the Health Service, and was prevented from doing so because there was a massive cabinet revolt. Indeed, it was described as the closest thing to a riot. Her personal private secretary, Patrick Jenkin, made her very aware that the American, private healthcare system, was rubbish. So she modified her policy to simply recommending that 25 per cent of all Brits should have private medical coverage. Then there was the introduction of the Private Finance Initiative by John Major and Peter ‘I’ve Got a Little List’ Lilley, under which private healthcare companies were and are being given license to build and run hospitals and provide other medical services. Why? Not because of efficiency. The system is spectacularly inefficient, and leads to smaller, fewer, and more expensive hospitals than under the normal system of state funding and management. But Lilley and his Tory colleagues were upset that there was this highly lucrative state sector that their pals in private industry couldn’t get their mitts on. They wanted to open the NHS up to private investment. Providing better healthcare didn’t come into it. And New Labour continued the privatization of the Health Service. This shouldn’t be surprising, as Blair was Thatcher’s protégé across the Green Benches. She stated that he was her greatest achievement, and was the first person to visit him in 10 Downing Street after he moved in. And then, in 2012, came Andrew Lansley’s Healthcare Bill, which effectively absolves the Health Minister of his statutory duty to provide effective medical care to everyone. It’s heavily disguised in tortuous, convoluted prose, but this is what it does. And Jez himself is a massive hypocrite in all of this. As Mike has blogged over and again, Hunt has said in his own book that he wants the NHS privatized. But in order to lull the British public into a false sense of security, he’s trying to tell us how much the Tories ‘treasure’ it. And that they set it up. He’s saying all this because Labour is going to renationalize the NHS, end PFI and move it all in-house. And that scares him and his big business paymasters absolutely witless. But we desperately need this to happen. 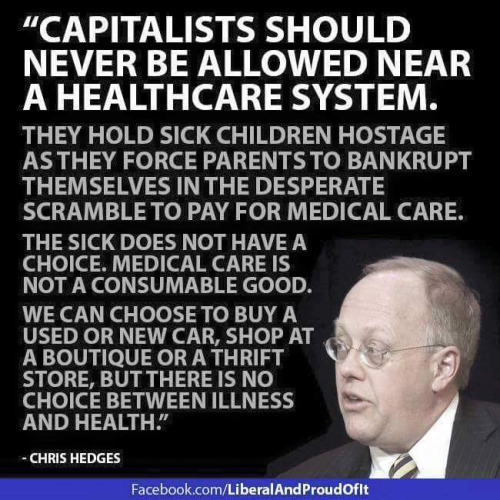 We really cannot afford for Britain to succumb to the Tories and their free market hogwash, and become like America, where millions cannot afford medical insurance, and where thousands wait in their cars overnight to get access to free healthcare, when it’s offered. One of the many vile policies which have been inflicted on the unemployed in this country is workfare. It was introduced in America by Bill Clinton, who took it over from the Republicans. It became public policy over here in 2010 when David Cameron thought it was a good idea. Well, the Tories under Maggie Thatcher were raving about way back when I was at school in 1983, so it was almost inevitable that they’d eventually put it into action. But New Labour weren’t far behind in their support for it. This follows the general Blairite trend of watching closely what the Tories are doing – privatisation, welfare cuts, destruction of the NHS, and so on – and then claiming that they can do it better, all the while mouthing platitudes about ‘social inclusion’ and guff about ‘One Nation’. Guy Standing gives a number of quotations from two of the leading figures in New Labour, Liam Byrne, and Ed Balls, who advocated this disgusting policy in his book A Precariat Charter. A One Nation approach to welfare reform means government has a responsibility to help people into work and support for those who cannot. But those who can work must be required to take up jobs or lose benefits as a result – no ifs or buts. (ibid). What is really disgusting is the shameless way Byrne referred back to the labour colonies advocated by Sidney and Beatrice, in which the long-term unemployed were put to work in order to teach them to be hard-working, independent members of society. If you go back to the Webb report, they were proposing detention colonies for people refusing to take work … All the way through our history there has been an insistence on the responsibility to work if you can. Labour shouldn’t be any different now. We have always been the party of the right to work, but we have always been the party of the responsibility to work as well. (p. 268). This chills the blood. It was Jess, another of the great commenters here, who first informed me about the labour colonies, which were incidentally also supported by the great champion of freedom and democracy, Winston Churchill. I’ve considerable respect for the Webbs. They worked hard, and their report on the state of the health services, such as they were, argued for a unified system of state health care decades before the Beveridge Report. But they and the other Fabians were authoritarians, who uncritically accepted Stalin’s propaganda of the Soviet Union as a happy, prosperous, and well-fed workers’ utopia while the reality was mass starvation through enforced collectivisation, state terror and the industrialisation of the country through forced labour camps – the gulags. There are also very strong parallels between their labour colonies, and the Nazis’ concentration camps. Among those interned in them were long-term unemployed, dubbed arbeitscheu, which was translated into English as ‘workshy’. Now the Blairites are trying to present themselves as the unthreatening, moderate alternatives to Jeremy Corbyn and the Labour left. The reality is quite different. They are highly authoritarian, with a real contempt for the working class, and a vicious, punitive attitude to those unfortunate enough to lose their jobs. Earlier today Mike put up a piece about a report in the Business Insider on a new book, Parliament Ltd: A Journey to the Dark Heart of British Politics by journalist Martin Williams , which documents the number of MPs holding directorships, many of which are undeclared. There are 1,450 MPs, comprising 650 members of the House of Commons and 800 Lords. Together, members of parliament hold nearly 2,800 active directorships in 2,465 companies, with revenues of £220 billion and a combined workforce of 1.2 million people. Williams estimates that roughly 40 per cent of these directorships are not declared in the register of members’ financial interests. A further 6 per cent are only partly declared, and another 3 per cent declared with major errors, such as the misspelling of company names. The book makes the point that there is no evidence that any of the MPs have broken any rules. However, the book, with the help of London technology startup company Duedil, did reveal many directorships that are potentially controversial . Mike makes the point that Martin Williams himself states that there is no need for MPs to declare their interest in companies, except where this may influence the way they vote or Lords speak. However, it is only through books like this that MPs’ commercial interests can be revealed. Mike also compares it to the work of the journalists, who have uncovered the massive electoral corruption committed by the Tories. He also makes the point that it shows the massive potential for unchecked corruption in our political system that has gone on for far too long, and asks what can be done about it. I came across the book about a fortnight ago in the ‘New Books’ section of Waterstone’s in Cheltenham. The book’s blurb makes the point that these politicians aren’t working for us, and to think so is a grave mistake. In fact, such corruption has been a feature of the British political system for a very long time. A few months ago a put up a piece based on the book, Your MP, by ‘Gracchus’, published by Victor Gollancz in 1944. This was an expose of the corruption within the Tory party, and the way its members had collaborated or fraternised with the Nazis before the War, and had voted against liberal policies, such as the condemnation of Mussolini’s invasion of Abyssinia, and for the immediate implementation of the Beveridge Report and is recommendation for the new welfare state and NHS. As for what can be done about it, there is now a mass movement in America demanding the complete removal of corporate sponsorship from politics. One Conservative Californian businessman put up a internet petition ‘California Is Not For Sale’ demanding that any politicians, who received donations from corporate sponsors for their campaign, should have to wear sponsorship logos on their jackets when they entered Congress. There is also the ‘Move to Amend’ campaign, headed by an American constitutional lawyer, that is demanding a repeal of the legislation permitting companies to sponsor politicians as constitutional free speech. I will be putting up a very short – just under 5 minute interview by the American comedian, Jimmy Dore – later this evening, which shows the amazing progress this campaign is making in the US. We badly need measures like this over this side of the pond, to make our politics less corrupt, and our politicos genuinely answerable to the people, not to their shareholders or board chairmen. I also found this piece by William Beveridge, the author of the Beveridge Report, which laid the foundation for welfare state and the NHS, in the Penguin Book of Protest, edited by Brian MacArthur. In it Beveridge attacks the six great evils his welfare reforms were intended to combat. My case is that this is very far from being the best of all possible worlds, but that it might be a very good world, because most of the major evils in it are unnecessary – either wholly so or to the extent to which they exist today. The evils which are wholly unnecessary and should be abolished are Want, Squalor, Idleness enforced by unemployment, and War. The evils which are unnecessary to the extent to which they exist today and which should be reduced drastically are Disease and Ignorance. The six Giant Evils of Want, Squalor, Disease, Ignorance, Idleness and War as they exist in the modern world, are six needless scandals. The Radical Programme which I propose to you is a war on these six giants. As a Liberal I propose it as a programme for the Liberal Party. Let me take the giants in turn, beginning with the easiest to attack. Want means not having enough money income to buy the necessaries of life for oneself and one’s family. Want in Britain just before this was utterly unnecessary. The productive power of the community was far more than enough to provide the bare necessaries of life to everyone (that, of course, is something quite different from satisfying the desires of everyone). Want arose because income – purchasing power to buy necessaries – was not properly distributed, between different sections of the people and between different periods in life, between times of earning and not earning, between times of no family responsibilities and large family responsibilities. Squalor means the conditions under which so many of our people are compelled to live, in houses ill-built, too small, too close together, either too far from work or too far from country air, with the air around them polluted by smoke, impossible to keep clean, with no modern equipment to save the housewife’s toil, wasting the life and energy of the wage-earner in endless crowded travel to and from his job. Squalor is obviously unnecessary, because the housing which leads to squalor is made by man, and that which is made by man can by man prevented. The time has come for a revolution in housing, but an essential condition of good housing is town and country planning; to stop the endless growth of the great cities; to control the location of industry so that men can live both near their work and near country air; to manage transport in the national interest, so as to bring about the right location of industry. Only on the basis of town and country planning should we build our houses and they must be built not just shells, but fully equipped with every modern convenience, with water, light, power, model kitchens for clean cooking, refrigerators, mechanical washers for clothes. As is said in the Beveridge Report: ‘In the next thirty years housewives as mothers have vital work to do to ensure the adequate continuance of the British race and of British ideals in the world.’ They must be set free from needless endless toil, so that they may undertake this vital service and rear in health and happiness the larger families that are needed. A revolution in housing is the greatest contribution that can be made to raising the standard of living throughout this country, for differences of housing represent the greatest differences between various sections of our people today, between the comfortable and the uncomfortable classes. Disease cannot be abolished completely , but is needless to anything like its present extent. It must be attacked from many sides by measures for prevention and for cure. The housing revolution, of which I have spoken, is perhaps the greatest of all the measures for prevention of disease. It has been estimated that something like 45,000 people die each year because of bad housing conditions. Scotland – your country and my country – used to be a healthier land than England – with a lower death rate – till about fifty years ago. Now it has a higher death rate, because in the past fifty years its health has not improved nearly as much as that of England. The big difference between the two countries lies in housing, which in many ways is worse here. Let us put that right for our country. Next to better housing as a means of preventing disease ranks better feeding. Experience of war has shown how much can be done to maintain and improve health under the most unfavourable conditions by a nutrition policy carried out by the state on the basis of science. It is essential for the future to make good food available for all, at prices within the reach of all, and to encourage, by teaching and by price policy good nutrition instead of mere eating and drinking. Ignorance cannot be abolished completely, but is needless to anything like its present extent. Lack of opportunity to use abilities is one of the greatest causes of unhappiness. A revolution in education is needed, and the recent Education Act should be turned into the means of such a revolution. Attacking ignorance means not only spending money on schools and teachers and scholars in youth, but providing also immensely greater facilities for adult education. The door of learning should not shut for anyone at eighteen or at any time. Ignorance to its present extent is not only unnecessary, but dangerous. Democracies cannot be well governed except on the basis of understanding. With these measure for prevention must go also measure for cure, by establishing a national health service which secure to every citizen at all times whatever treatment he needs, at home or in hospital, without a charge at the time of treatment. It should be the right and the duty of every British citizen to be as well as science can make him. This, too, was included in my report more than two years ago. Let Us get on with it. Unemployment, as we have had it in the past, is needless. The way to abolish unemployment is not to attack it directly by waiting until people are unemployed and then to make work for them, but to plan to use the whole of our manpower in the pursuit of vital common objectives. The Radical Programme for attacking the five giants of Want, Squalor, Disease, Ignorance and Idleness through unemployment is all one programme. We abolish unemployment in war because we are prepared to spend up to the limit of our manpower in abolishing Hitler. We can equally abolish unemployment in peace by deciding to spend up to the limit of our manpower in abolishing social evils. The last and the greatest of the giant evils of the world is War. Unless we can win freedom from war and from fear of war, all else is vain. The way to abolish murder and violence between nations is the same as that by which we abolish murder and violence between individuals, by establishing the rule of law between nations. This is a task beyond the power of any nation but it is within the power of the three great victorious nations of this war – the United States, Soviet Russia and the British Commonwealth. If those three nations wish to abolish war in the future they can do so, by agreeing to accept impartial justice in their own case and to enforce justice in all other cases, but respecting the freedom and independence of small nations and the right of each nation to have its own institutions so long as these do not threaten harm to its neighbours. By doing so, they will accomplish something far more glorious than any victory in war. In the past statesmen have prided themselves in getting ‘Peace with honour’. The formula of the future – the only one that can give us lasting peace – should be ‘Peace with justice’. Honour is national, justice is international. (pp. 173-5). As you can see, it’s quite dated in its conception of gender roles – men go out to work, while women stay at home and raise the large families the state and society need. And after the Nazis and Fascist groups like them, any talk of national ‘races’ looks extremely sinister, though there isn’t any racist undertones here. And Beveridge was exactly right about the evils he wanted to combat, and they’re still very much alive now. Nutrition and pricing have all returned with the campaign to improve a tax on sugary foods and drinks, and so combat the obesity epidemic and rising levels of diabetes. And the other issues have all returned thanks to Maggie Thatcher. She deregulated and privatised public transport, which has led to further inefficiencies on the roads and railways. She and the regimes that have followed her were and are determined to destroy the welfare state, including the health service, which Cameron and Clegg both wanted to privatise. And the result has been rising levels of poverty. It’s time we scrapped Thatcherism root and branch, and went back to the founding principles of the welfare state. The principles that were put into practice by Labour’s Aneurin Bevan. 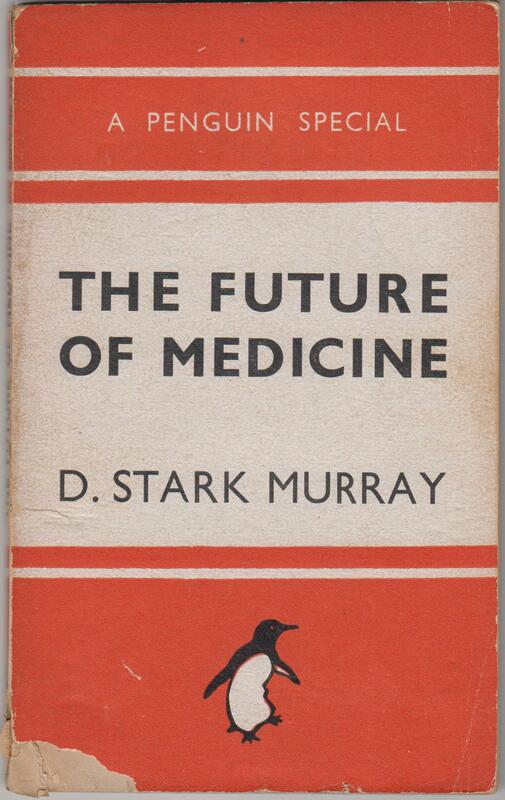 I found this book, The Future of Medicine by D. Stark Murray (Harmondsworth: Penguin 1942) in one of the second hand bookshops in Cheltenham. Its writer was a medical doctor and science writer, and the book was published when the National Government was discussing the establishment of something like the modern NHS with the Beveridge Report. The book is basically a description of the terrible state of health care as it was in the early 1940s, and the possible reforms which would create a better healthcare system. Amongst the problems it discusses are the fees charged by contemporary doctors, and the inability of the poor to afford them. These could be so costly that some patients were going to the hospitals for cheaper treatment instead. Doctors also use their right to vary their fees as a way of getting rid of individuals or sections of their practice which they do not consider remunerative or otherwise attractive. “Night fees” fall into this category, and the doctor who has grown tired of going out in the middle of the night and who has a practice which is paying him a good income, may see the end of all but most urgent night calls by charging a sufficiently high additional fee for this service. (p. 29). On occasions the difficulty is a totally different one. The patient is able to pay the doctor’s ordinary fee for a short illness but unable to face the kind of bill that would mount up if daily visits proved necessary over a long period. In other cases the patient may be able to pay the doctor’s maximum charge but unable to face bills for extras, food delicacies, expensive drugs, nursing assistance, and so on. Nevertheless it is significant that so many turn to the hospitals for a service they cannot obtain otherwise. This need not be regarded, as in some medical quarters, as a blow at the medical profession as a whole, nor accepted with complacency by those who control the hospitals as proof their perfection; but rather as an indication of the patients’ demand for something more than they get today. That demand is not for a “friend of the family” with a bedside manner, but for a service or chain of services in which the general practitioner and the hospital should be mutually dependent links. (P. 26). This was the state of healthcare in Britain before the establishment of the NHS, and it’s still the state healthcare in America, where 20 per cent of the population could not afford private medical insurance until the introduction of Obamacare. Medicine is immensely profitable, which is why the Tories under Jeremy Hunt, the Health Secretary, are doing their level best to privatise the NHS. They must be stopped. A. A national health service for prevention and comprehensive treatment available to all members of the community. B. Universal children’s allowances for all children up to 14 or if in full-time education up to 16. C. Full use of powers of the state to maintain employment and to reduce unemployment to seasonal, cyclical and interval unemployment, that is to say to unemployment suitable to treatment by cash allowances. 2. Unified Social Security: On these three assumptions, a scheme for social security is outlined below, providing for each member of the community basic provision appropriate to all his needs, in return for a single compulsory contribution. 3.Principle of Scheme: The principle of the Social Security Scheme is to ensure for every one income up to subsistence level, in return for compulsory contributions, expecting him to make voluntary provision to ensure income that he desired beyond this. One consequence of this principle is that no means test of any kind can be applied to the benefits of the Scheme. Another is that the Scheme does not guarantee a standard of life beyond subsistence level; men whose powers of earning diminish must adjust themselves to that change. 3. Needs: The needs to be covered are of seven kinds, including as one the composite needs of a married woman. C. Childhood, provided for by allowances till 14 of it in full-time education, till 16. O. Old Age, including premature old age, met by pension beginning from 65 for man and 60 for woman normally, but beginning earlier for proved permanent invalidity. D. Disability, that is to say inability through illness or accident to pursue a gainful occupation, met by disability and invalidity benefits. U. Unemployment, that is to say, inability to obtain paid employment by a person dependent on it and physically fit for it, met by unemployment benefits. F. Funeral Expenses of self or any person for whom responsible, met by funeral grant. L. Loss in Gainful Occupation other than Employment, e.g. bankruptcy, fire, theft., met by loss grant. 1. Setting up of a home, met by furnishing grant. 2. Maternity met by maternity grant in all cases, and in the case of a period before and after confinement. 3. Interruption of husband’s earning, by his disability or unemployment, met by dependent benefit. 4. Widowhood, met by pension at various rates corresponding to nees and by credit of contributions for unemployment and disability. 5. Separation, i.e. end of husband’s maintenance by desertion or legal separation, met by adaptation of widowhood pensions. 6. Old Age, met by pension at 60, with provision for antedating if husbands earning capacity is stopped by old age. 7. Incapacity for household duties, met by grant to meet expenses of paid help in illness. 8. Funeral grant for self or any person for whom responsible after separation from husband. (pp. 265-7). I realise that its assumption about gender roles now seem dated and sexist, with the assumption that the husband goes out to work while the mother stays at home to raise the family. However, regardless of its flaws and the continuation of poverty after the foundation of Welfare State, the system of payments laid out here by Beveridge did have immense success in tackling poverty. And since the 1980s they’ve been under attack by the Tories. Under Thatcher and Major, the system of welfare grants that previously operated were replaced by loans. Welfare payments have also been increasingly cut, and conditions deliberately imposed so that increasingly fewer people are considered eligible for them. This has also been extended to disability payments, with the result that 590 people have died of starvation, poverty, neglect or suicide thanks to the cuts made by the Tories and their Lib-Dem enablers at the last parliament. And over a quarter of a million more psychologically vulnerable people have seen their condition made worse. And thanks to these attacks on the welfare state and the abandoning of the Keynsian goal of full employment, 4.7 million people in our immensely rich country are now in ‘food poverty’. Please remember this when you go to vote on Thursday. And don’t vote for the Tories or Liberal Democrats.